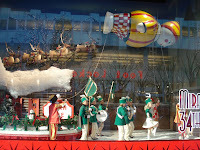 Macy's is not only known for their Thanksgiving Parade, they are also one of the large department stores in New York City that has elaborately decorated display windows for Christmas. This year one set of windows was a Miracle on 34th Street theme and a story of how Santa gets your letters. There are lots of moving parts to the windows--skaters skating, dancers dancing, reindeer flying, etc. The scenes of the movie themed windows were very det ailed. 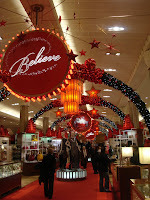 The inside of the store was festive and continued with their "believe" theme of the season. 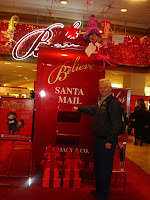 I couldn't resist having Bob drop a letter in Santa's mailbox which was set in a middle aisle right by the Godiva chocolates. Unfortunately there were no free samples. We wandered down to Lloyds and Taylor and checked out their windows as well. They fit into an old fashioned Christmas theme. 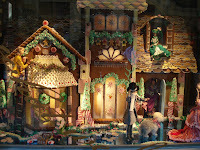 My favorite window of the bunch was the one with the large gingerbread house. Again these windows were animated and done in great detail. 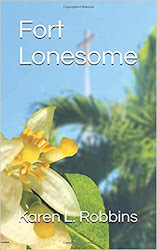 Humming "City sidewalks, busy sidewalks filled with Holiday cheer. 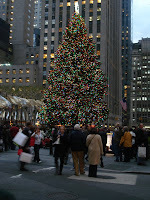 . ." we made our way to Rockefeller Center to see the tree in the daylight. It's not nearly as pretty during the day. 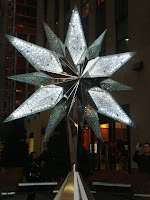 We discovered that the large star at the top is of Swarvoski crystal. You can purchase small-scaled replicas for $45 and $75. After lunch at the Rockefeller Center Cafe on the ice rink level with views of all the skaters, we made our way over the the Radio City Music Hall for the 2 o'clock Christmas Spectacular with the Rockettes. 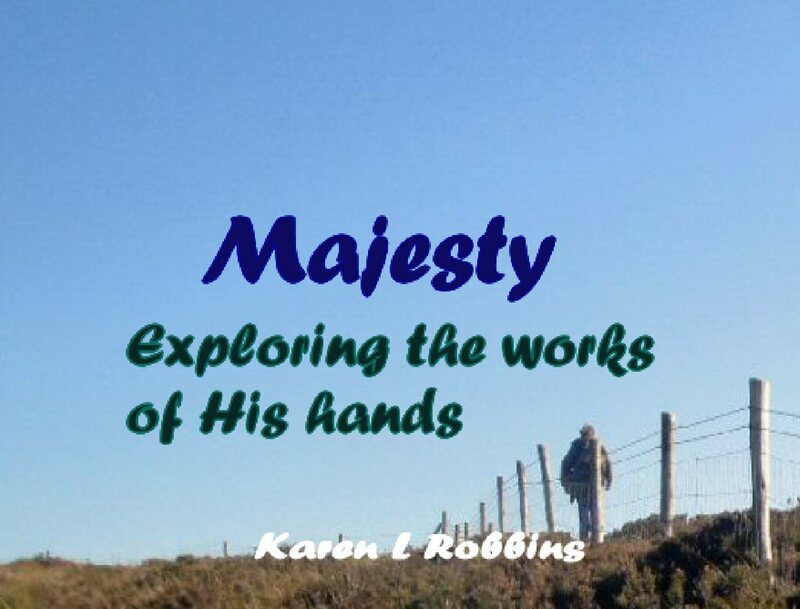 It is an amazing program and in an amazing place that seats around 5,000 people. They fill the place five times a day around the Christmas season. Our day finished with another walk around the Christmas tree and then dinner w ith our niece at Carmine's in the theater district. They have family style Italian dinners and it pays to have a group when you go there. Of course when you have someone who can take home the "doggie bags" it helps too. On our way back to our hotel, we stopped to purchase a poster board. Tomorrow's plan is to visit the Today show with a sign that reads, "We've been seeing double for 41 years!" My sister-in-law and I should have a little fun after having married twins 41 years ago.